According to estimates, there are about 19 million vehicles are there on Australian roads. For the past 5 years vehicles are increasing in Australia at the rate of 12.5%. Only 10% of Australians use public transport to get to work, and people using private vehicle is increasing. 1 in every 5 people in Australia uses their car to get to the train station. With such staggering increase in vehicles on roads, accidents have also increased. 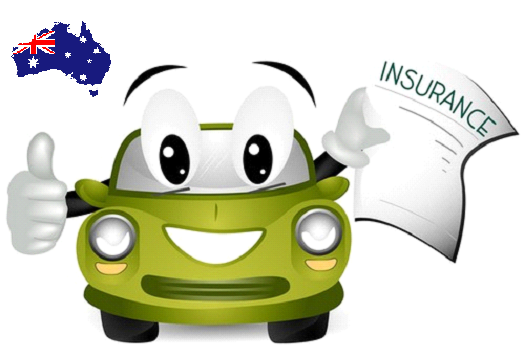 Auto insurance has become a must in Australia. With such increase in vehicles and accident, it’s advised to go for a perfect insurance over for yourself and the vehicle. There are around 3 million motorists in Australia who have had got involved in an accident with past 4 years, and 20% of them are drivers. Vehicle thefts have reduced by 7% comparing to previous years, but still, there are about 40,000 vehicle theft every year in the country, causing a huge financial burden on the Australian community. Similar to buying a car there is no single best solution when buying insurance. 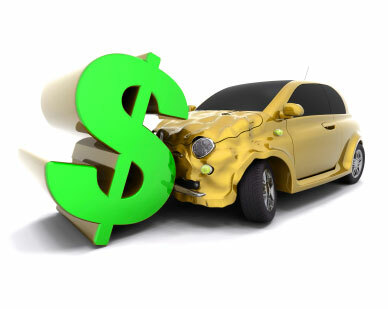 Price should not be the only reason that you must consider while choosing your vehicle insurance. Different type of policies is available, carefully go through each of them and choose the one that suits your needs and your circumstances. Before signing the insurance contract, make sure you read the policy, product disclosure state, terms and conditions carefully. Do not hesitate to ask you insurer if you don’t understand any policy or other aspects of the auto insurance. 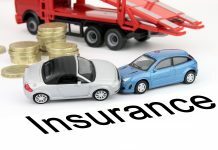 In Australia there are generally 4 types of auto insurances, they are Comprehensive Insurance, compulsory third party insurance, third party only, fire and theft only. The consumer should analyse their needs and circumstances and buy an insurance policy accordingly. It covers damage to vehicles, collisions, theft of vehicle, weather damage and malicious damage. Based on your policy it can also cover damage caused by you to another vehicle. This insurance policy in mandatory in all states. This policy provides compensation for bodily injuries caused by accident. 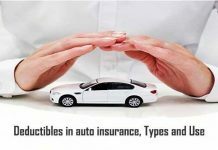 The policy does not cover any damage to the vehicle, so you will have to purchase other forms of insurance policy too. 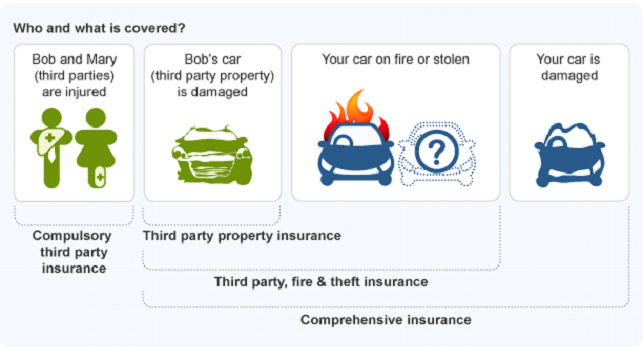 This is another limited insurance that only covers damage caused by fire and vehicle theft. It does not cover bodily injury of collision damage. Considering the level of auto theft in Australia, theft insurances are highly recommended. This policy covers the vehicle which was damaged by you during an accident. It does not cover treatment cost of your injuries or damage to your vehicle. This insurance policy is usually purchased by those having an old or low-value vehicle. It is the lowest insurance available policy. NSW and Victoria Coles offer the cheapest insurance, $465 and $580 respectively. It doesn’t matter if the car is under financed or a claim was lodged. 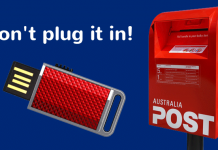 The chain is owned by Australian biggie Wesfarmers a company that also owns Officeworks, Bunning, Kmart, Target, industry business and insurance. But, with such cheap insurance it does misses of some features offered by other insurance companies. 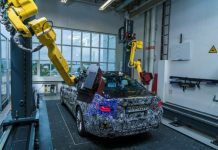 For example, your new car is considered a write off then it shall be only replaced if its less than 1-year-old, but other companies offer up to 2 years. Also you are not provided with free car hire after an accident or theft and contents in your car are not covered but insurance company with a tad bit higher rate cover contents in the car. 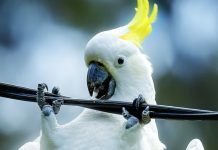 You can use insurance search engine like Zippy to find the cheapest insurance available in Australia, you can compare prices and policies. Zippy returned results like Budget Direct which to buy insurance from these websites like zippy or iSelect than via the insurer directly. The Same policy of Budget Direct is ranked as 13th while buying online it stands at 8th. With the offline premium being charged at $980 and online at $785 respectively. The prize goes for The buzz averaging at $720, this insurer is underwritten by the Insurance Australia Group (IAG), which is an authority that comprises of companies like Swann Insurance, NRMA, RACV, and SGIO. Other affordable insurance companies such as Youi offer premiums starting at $850(NSW) and $880(Victoria). This insurance company asks for detailed information to better cope with the risks. Youi asks questions regarding your employment, education status, marital status, occupation. They may ask how you use the transport; do you use it go to the place of study or work? Like many other insurers Youi may ask for driving and insurance history, where do you keep the car during the day like a secure car park, a train station or a park. Whether you own another car and your average annual mileage. However, Youi is not the cheapest or the most competitive. I personally tried Youi, the best thing i like about Youi was my claim was processed in 2 days, furthermore they paid me the money for my damage, giving me the choice of repairer. Also with Youi comprehensive cover you get two free roadside assistance calls per year. Who is your insurer? Share your experience with us. Next articleDid you know Islam allows sexual relation with slaves?